Alfredo Coronado finds nothing more rewarding than providing respite care to families with individuals who have special needs. He sees firsthand the world of difference his job makes, to a family that sometimes just needs a little support to be able to do the daily things others often take for granted. 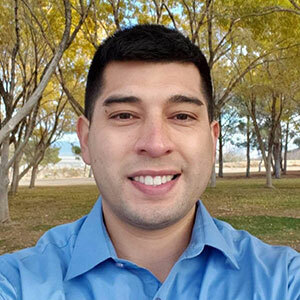 Alfredo earned his Bachelor of Health Sciences with a minor in communication studies in 2011 and began his career in behavioral intervention in 2013. Alfredo has settled in the city of Ridgecrest where he is program coordinator and department manager for respite care. and set school records. He used to think he’d run professionally until he found respite care to be so meaningful. Alfredo now runs for exercise and his physical health.